Grimelda's house may not be tidy, but it's cozy, and that's just the way she likes it. She also likes pickle pie. There's only one problem -- she can't find the main ingredient in her messy house! Kids will love this funny, charming story about the everyday life of a witch. 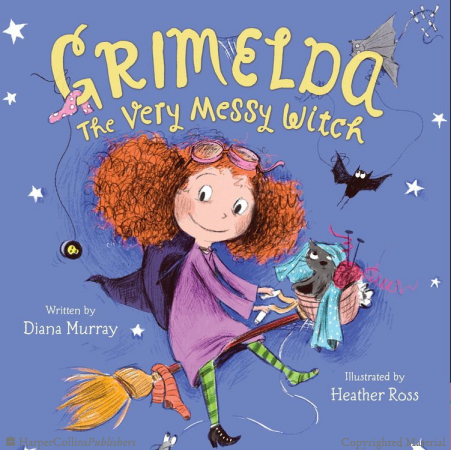 With a repeating refrain and lively, rhyming text, Grimelda: The Very Messy Witch is perfect for reading aloud with a child at Halloween as well as all year round, or for an emerging reader to enjoy on their own.